Metabolites produced by plants are of high significance owing to their therapeutic applications in humans. High demand for such natural plants has resulted in over-exploitation and endangered several species of plants. Endophytes reported to have the potential to produce similar high-value metabolites are often seen as alternatives for production of such metabolites. However, the product yield attenuation reported in endophytes with subsequent subculture prevents them from being commercially exploited. Yet reports on retrieval and enhancement in the yield of metabolites from endophytes under in vitro culture conditions continue to provide hope and interest of the scientific community in endophytic fermentation for commercial applications. 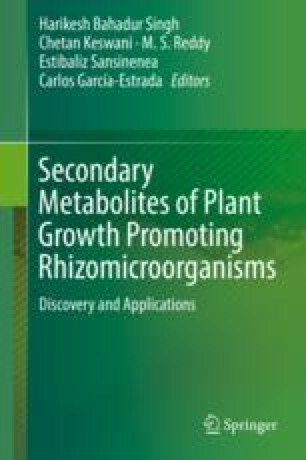 In this chapter, we attempt to provide a consolidated view and latest developments in the area of endophyte bioprospecting and bioprocessing for large-scale production of various bioactive compounds including high-value phytochemicals and the possible role of plant-endophyte interaction on metabolite production by endophytes. The authors would like to thank the Department of Science and Technology (DST), Government of India, New Delhi (EMR/2015/001418), for the financial assistance towards ongoing research projects.